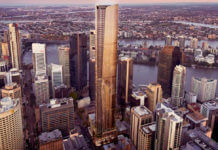 A new three tower development located at 352-364 Vulture Street has been approved by the Brisbane City Council. 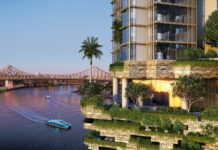 Known as ‘K’, for K Point (Kangaroo Point), the mixed use project comprises of retail, hotel and residential apartments. 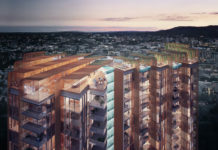 A new 290 room multi-national hotel will be housed in one tower and will accommodate a rooftop convention centre with 360 degree views. The rooftop will also house a new skygarden and bar on level 20. 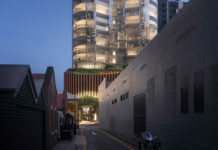 The ground floor retail will be underpinned with a craft brewery and restaurant precinct. 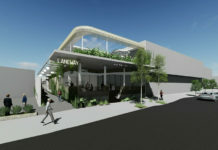 The project is being developed by Zenonos Group who have recently jointly acquired Lutwyche City shopping centre from Federation Centres. The DA number for this development is A004232328. I’d be interested to know how many car parks they’re providing, especially since it’s across the road from a bus station, and possible future train station.